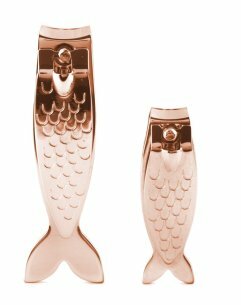 This Big Fish, Little Fish Fingernail Clippers Set provide a fun design for this everyday essential beauty product. 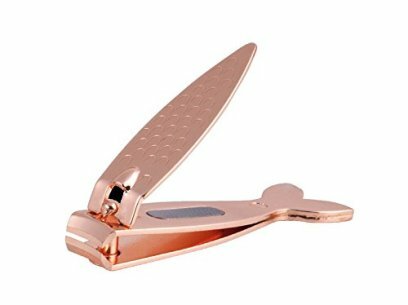 The little fish functions for clipping fingernails and the big fish is designed for clipping toe nails. 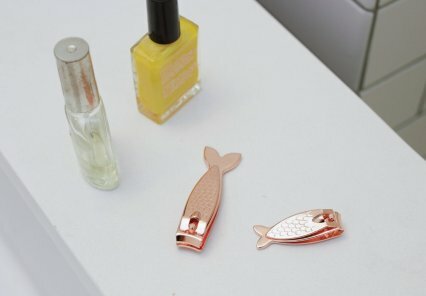 The copper scale pattern & cute fishy tail make these a unique accessory and the mini emery board in each clipper provides an all in one convenient nail trimming set. Measuring approximately 1 1/2 (little) & 2 1/2 inches (big) these are the perfect travel size for your purse or make-up bag.